The Schulte SMR-600 Multi Rake Windrower is the ideal multi-purpose land management tool, the perfect attachment for your skid steer, for rock windrowing, landscaping, soil preparation and sweeping operations. 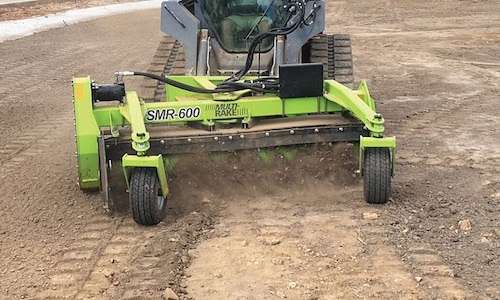 The rototilling action of the SMR-600 helps to break lumps, roots and other debris while reclaiming rocks by forming them in uniform rows. The replaceable 4 inch teeth give you greater ground penetration and are made of wear resistant Hardox 450. This Multi Rake Windrower also features solid mounted or hydraulic lifting 23 inch forklift grade tires for increased maneuvering and rugged durability. 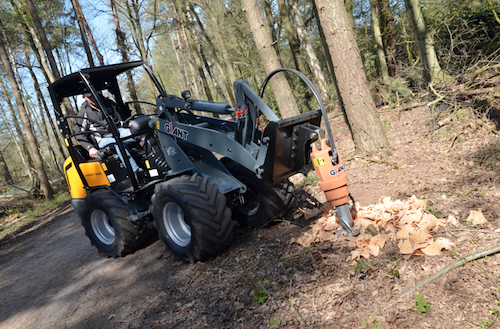 The SMR-600 is chain driven to keep the hydraulic motor out of harm’s way. An optional broom attachment for sweeping parking lots, roads or removing snow is also available. For more information on the SMR-600 or any other Schulte product, call 1 (800) 404-6044 or visit us online atwww.schulte.ca. Billy Goat’s all new Next Gen 25-inch width PLUGR reciprocating aerator offers up to 42,550 sq. ft. of aeration per hour in a single pass and an estimated 30-plus percent greater return on investment vs. traditional drum units for unprecedented aeration productivity! Variable Aeration Density (VAD™) lets operators vary hole spacing from 8 to 45 holes per sq. ft., plus self-propelled rear-wheel hydro-drive and front casters offer seamless in-ground turning. And with patent pending EZ Lift n Drop™ tine engagement / disengagement for uninterrupted aeration — there’s simply no aerator easier to maneuver and smoother to operate. TYM Tractors is setting out to redefine economy with its new value-model tractors. Expected to be available in early 2019, the new T474 series will make many premium options standard. This new series will be third-function ready and have telescoping lower rear hitch links with a rear-mounted position control. The T474 builds on our successful T394 series by providing a 48hp engine on a smaller frame size, allowing you to take on bigger jobs when you face limitations on the size of your equipment. 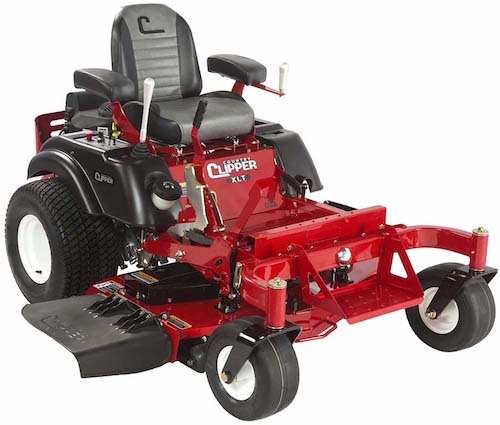 The Country Clipper XLT is designed for larger residential needs with the power and features of a commercial mower. 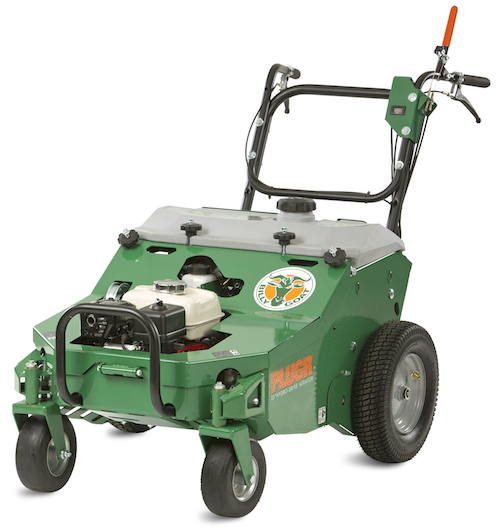 This model is available with 24 HP Kawasaki or 26 HP Kohler engines and cutting widths of 48-, 54- and 60 inches. The XLT is equipped with our patented stand-up deck for ease of maintenance. The XLT offers you a choice of traditional twin lever steering or Country Clipper’s industry exclusive Joystick steering; leaving you with a free hand to move low hanging limbs or take a sip of your favorite beverage. The XLT is equipped with a pivoting front axle and deck, for complete terrain contouring and virtually eliminating scalping. Take flight with the precision and reliability that the Falcon HP delivers. 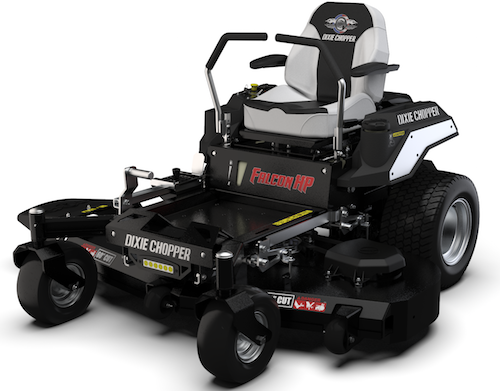 The Falcon HP redefines the residential mower with commercial features, heavy-duty manufacturing and superb comfort. The Falcon HP features a deep deck design in cutting widths up to 60 inches and operates smooth and fast with Hydro-Gear ZT-3100 trans-axles. Join STIHL for Major Product Launch News at GIE+EXPO! STIHL has been defining the future of outdoor power equipment for more than 90 years. This year, we’re continuing this legacy of innovation — providing your customers even more options within the extensive STIHL lineup of gasoline, electric or battery equipment. Join us in the STIHL booth (#5068) | Wednesday, Oct. 17. Exclusive dealer-access to the show floor on Wednesday, October 17th will give you the opportunity to meet one-on-one with exhibitors and preview new products a day ahead of the crowds. 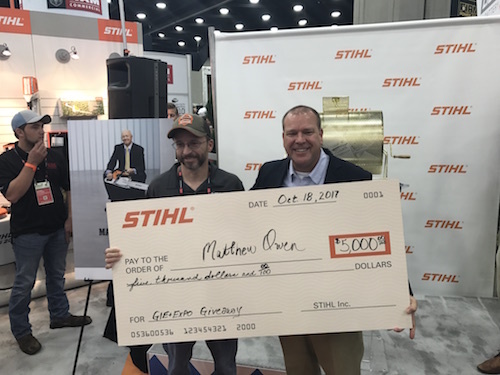 At 2:30 p.m., preview the latest in new STIHL products during a dealer exclusive presentation — one lucky attendee will win $5,000! * At 3:00 p.m., enjoy refreshments and party Oktoberfest-style, compliments of STIHL Inc.! In order to meet the increasing demand for driving high-speed machines, TOBROCO-GIANT introduces the V452T HD wheel loader. HD stands for Heavy Duty, representing 26,500 lbs. axles and a bigger gear pump, which gives the machine a driving speed of up to 17.5 mp/h and increasing pulling force. With its four-cylinder Kubota engine (45 hp), automatic gear and heavy planetary final drive, the V452T HD is considered a comfortable loader. Combined with a tipping load of 4,840 lbs., this ensures high efficiency and performance. Transform your mower in less than an hour with the industry’s leading aftermarket suspension forks. 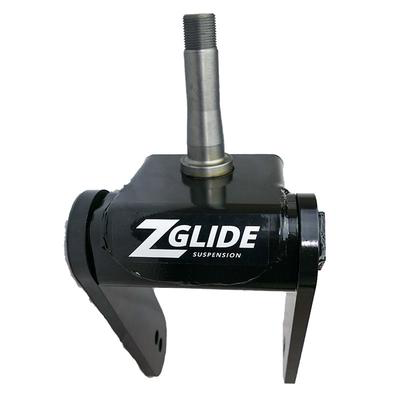 ZGlide Suspension is a patented direct replacement front wheel fork kit for Scag, John Deere, Kubota and eXmark zero-turn mowers. This independent pivoting capability absorbs shock generated from traveling over rough terrain rather than transferring it through the frame. 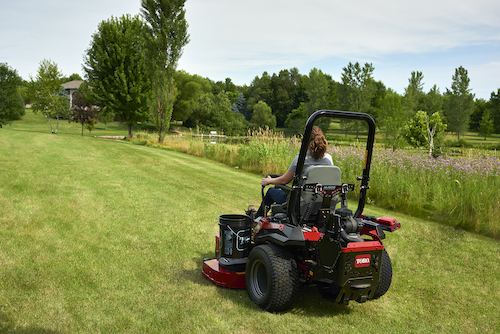 The resulting shock absorption improves operator comfort and improves cut quality by reducing the amount of shock and bounce transferred to the mower deck. Check out our demonstration videos and visit us at GIE in booth #10051.